Hi pals, hope you had a good weekend and are enjoying the longer evenings! I’ve just had a great weekend with back-to-back races on both days, the first over at Westpoint Arena in Exeter and the second at the new Wheal Jane Circuit in Cornwall. Westpoint was unbelievably bad weather, probably the worst I’ve ever ridden in but I actually enjoyed the race! Tried to split the field in today’s race but no one came with me, instead someone pulled the whole pack over with them a little later. Doh! ? Then the torrential rain started… ?️ and it turned into the wettest race I’ve ever ridden. Now I’ve got my feet up and a cat on my lap, a pot of tea and the biscuit tin to hand. Looking forward to racing again tomorrow in Cornwall ? I didn’t get an amazing result on Saturday so it was all to play for on Sunday. It was intrigued to try a race down at Wheal Jane as I’d heard the circuit was unlike any of the others we race on here in the South West but as it’s two hours drive from my place in Teignbridge, I was hoping it would be worth the day out. Luckily, it didn’t disappoint; though the surface is, quite frankly, terrible in some parts with potholes, loose gravel and sand adorning it, the actual route of the circuit is exceptionally fun. After you’ve sprinted away from the start line and around a super tight hairpin, you speed off downhill then weave your way through containers with a fun chicane before your swoop around then up a hill. From there it’s fairly fast, open and rolling before a gentle uphill sprint to the finish. A big thanks to the organisers and those behind Wheal Jane itself. It’s been a battle to get the circuit opened for racing and though yes, I did mention the bad surface, but I find this track such extremely good fun that it’s not really an issue. I’ve heard the surface will be improved over time once some more funds are in, which is great news. Thanks for the equal prize money too – I was pleased to walk away with second place and therefore redeem myself! 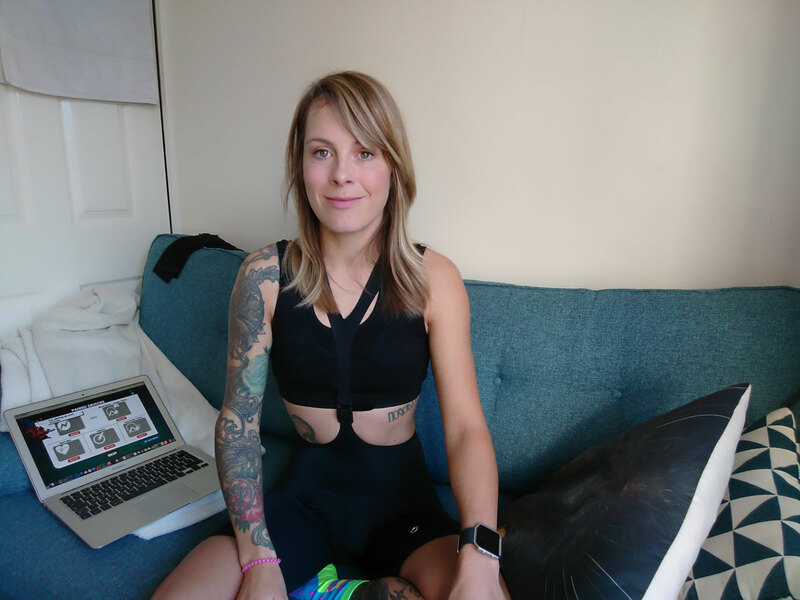 Today, I’m packing for a trip to Spain where I’ll be heading to womens cycling store Domenica in Barcelona where we’ll be launching a new ASSOS women’s jersey by having a party on Thursday evening. There will also be a shop ride on Saturday morning which I’m really looking forward to, having really enjoyed myself last time I rode out of the city, when I was visiting for Red Hook Crit. Whilst I’m in Spain, I’ll be doing something I’ve longed to do for the last couple of years – going to La Poma Bike Park. Normally, when I’m in Barcelona it’s to race fixed gear bikes, which I love, but I always feel a twinge of disappointment that I can’t ride my BMX or jump bike too – it’s just impossible to take two bikes with me. On this trip, however, I’ve found out that La Poma have a fleet of Commencal jump bikes to hire, so I’ve booked myself in for an afternoon of pure joy! In between all this I’ll be sticking to my race training, so I’ll be out on the road Thursday am doing a brutal workout my sadistic coach has set me! A few weeks ago, I began working with Epic Coaching (ahead of riding The Tour Series as a second claim member of Liv CC – Epic Coaching). Prior to that, I’d been figuring out my own training (for the last year and a half), something that’s definitely worked quite well for me, though I’m convinced this professional help will give me a greater advantage. 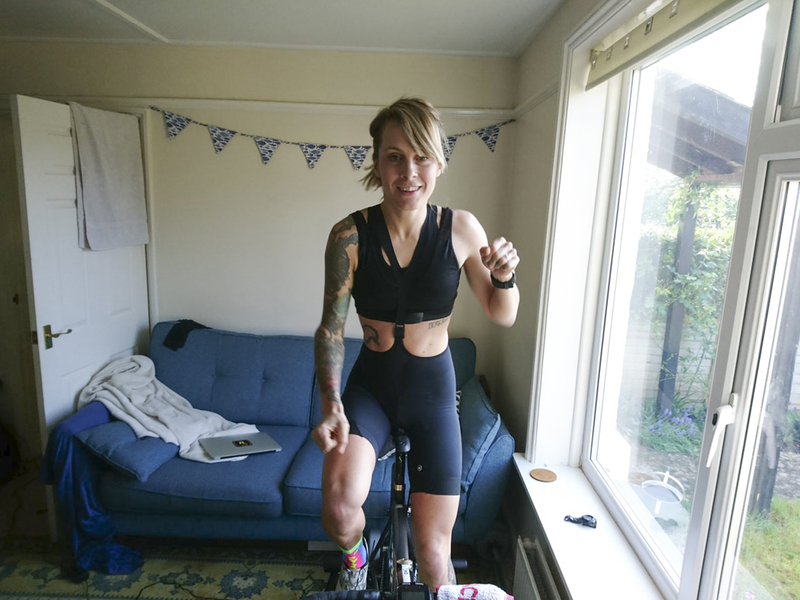 I thought I’d share with you guys what kind of thing I do over winter in order to prepare for race season, how I structure my training and what kind of equipment I use. If you like the video, please subscribe and let me know in the comments what kind of videos you’d like to see in the future. Subscribed your channel. Except for one thing (lower sound volume), you’ve done it extraordinarily.